· Every villain needs a hero, and in the press, Walmart and Costco have been portrayed as the dark lord and white knight of low-budget retail. 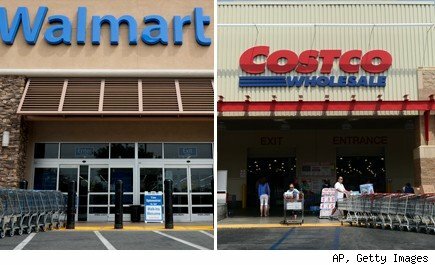 In recent months, Walmart has been criticized for allegedly underpaying and mistreating its employees, while Costco has been lauded as a kind of corporate Dumbledore, nurturing its workers, and fighting to make the world a kinder and more affordable place. So how do the country's two biggest retailers really fare head-to-head? Check out the breakdown below. More: Why Is It So Hard To Get An $8 Job At Walmart?